E. Jacob Simhaee, M.D. (Manhasset) - Book Appointment Online! Dr. Simhaee and his staff are committed to providing you a private practice in obstetrics and gynecology that is comprehensive, contemporary, and compassionate to your unique needs. We provide our patients with state-of-the-art equipment in our office to ensure the best care for their health. As a solo practitioner, Dr. Simhaee puts extra effort to build a relationship with his patients to let them know he will be there every step of the way. This is a unique characteristic that distinguishes Dr. Simhaee from other OB/GYN physicians. Our two offices are conveniently located in Manhasset, NY and Forest Hills, Queens. 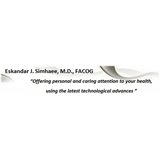 Dr. Simhaee is your source for attentive and personalized care! Being from California, I was expecting a slightly different experience. But the nurses and doctor were very nice. They called in my script and everything!